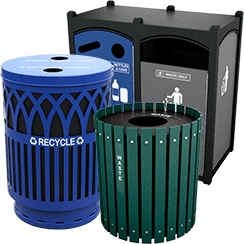 The Covington is great for parks, schools, downtowns, shopping malls, and municipalities. 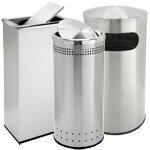 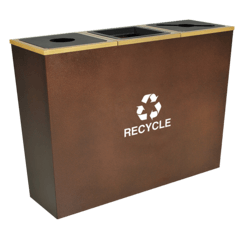 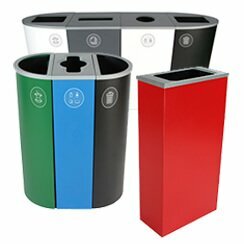 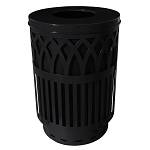 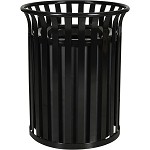 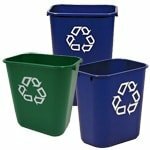 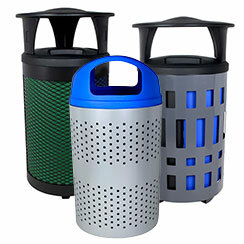 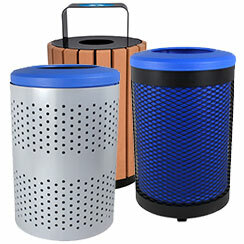 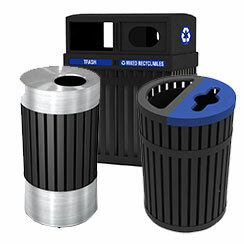 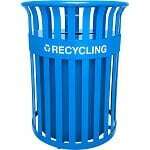 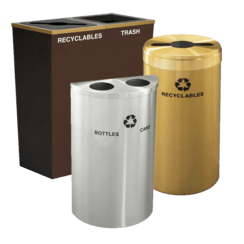 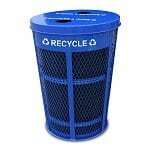 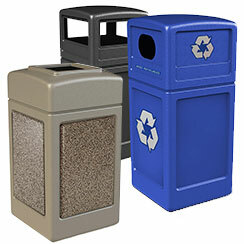 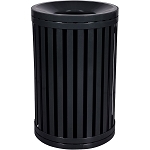 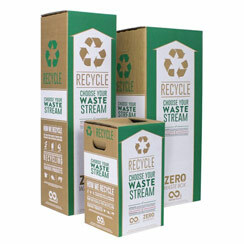 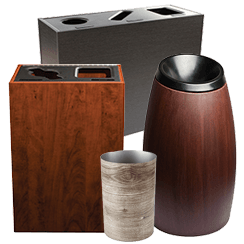 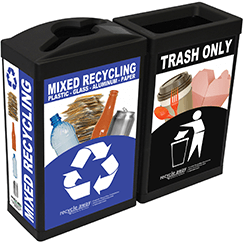 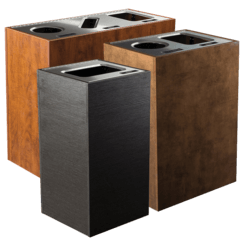 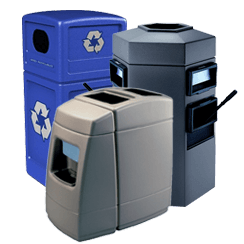 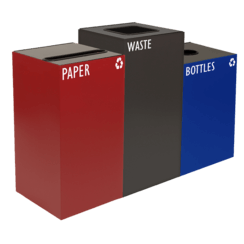 The sleek and contemporary laser cut design creates a unique, aesthetically-pleasing recycle receptacle for any area. 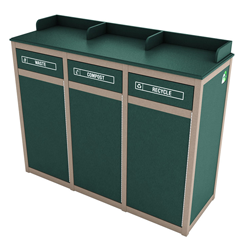 Servicing is easy with a lift off top. 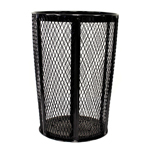 Also available as a Waste Container! 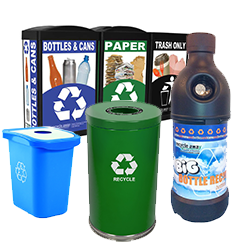 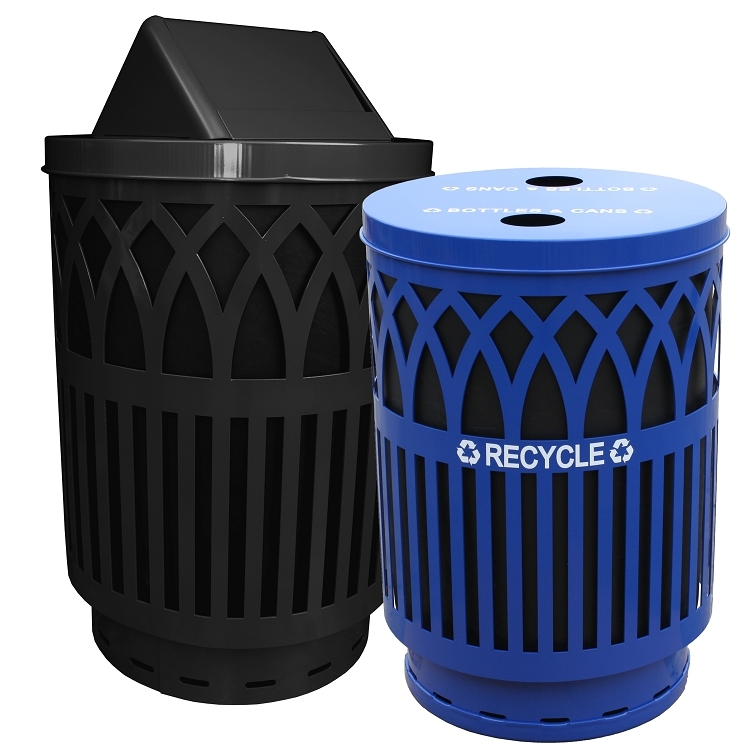 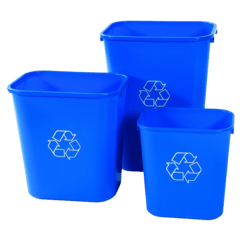 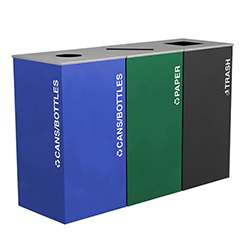 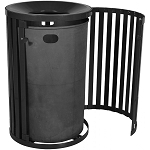 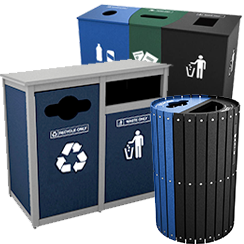 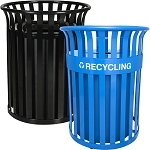 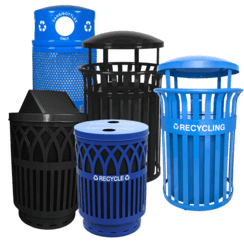 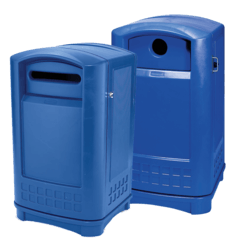 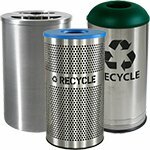 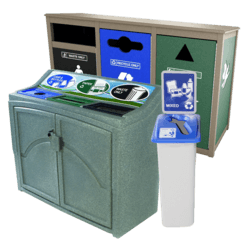 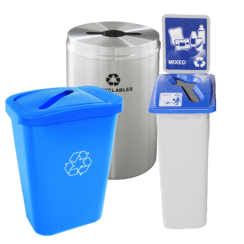 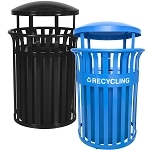 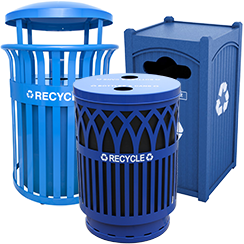 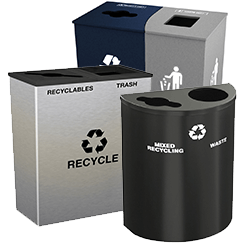 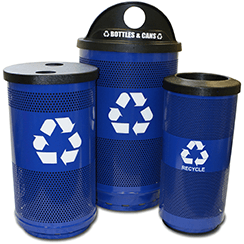 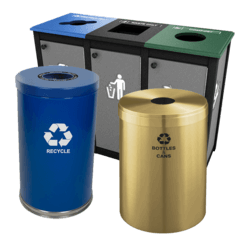 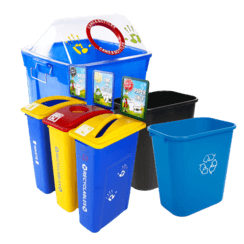 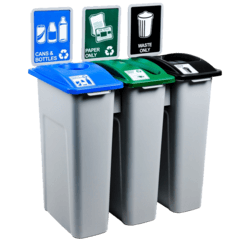 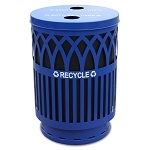 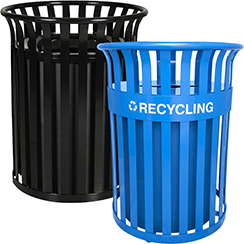 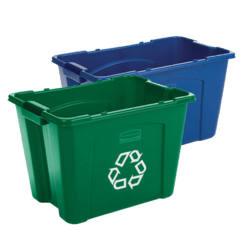 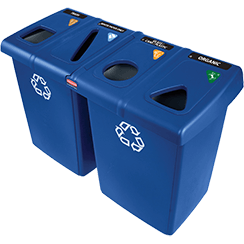 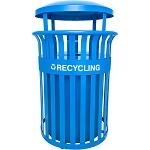 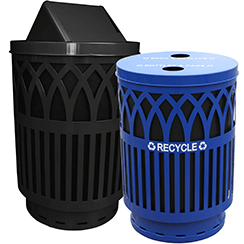 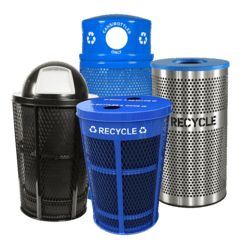 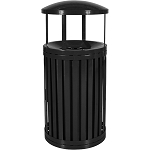 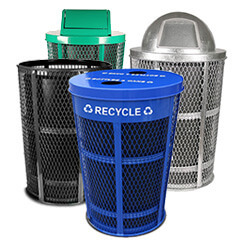 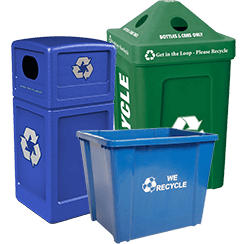 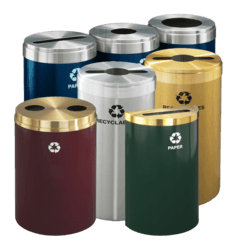 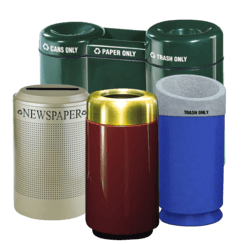 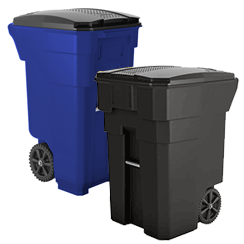 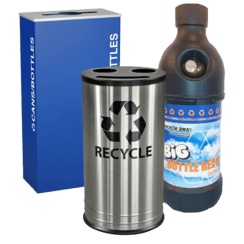 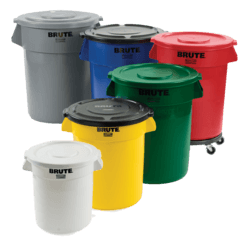 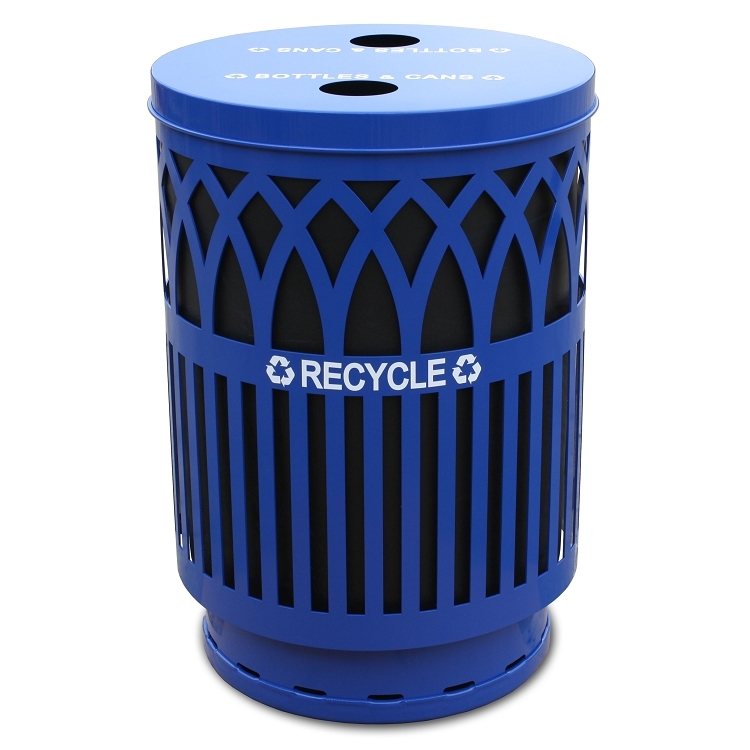 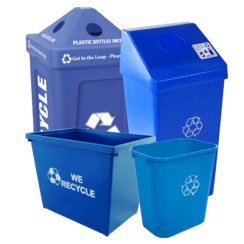 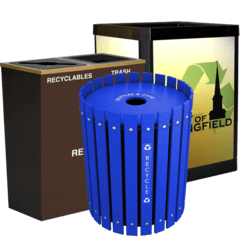 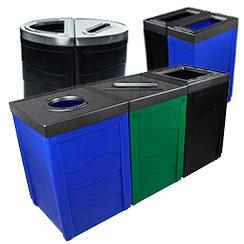 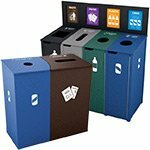 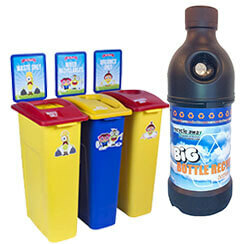 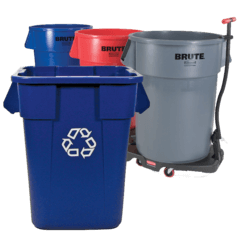 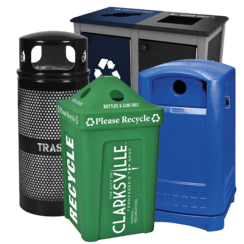 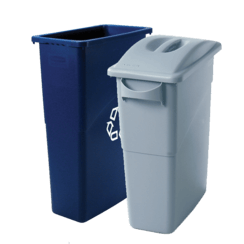 This durable multi-stream recycling barrel is perfect for outdoor settings like parks, golf courses, playgrounds, middle and high schools and university campuses. 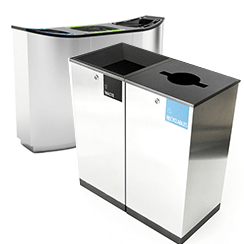 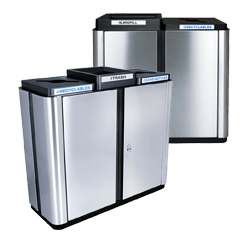 Pedestrian areas both indoor and outdoor, including shopping malls and seaside boardwalks are great locations for this convenient recycling solution.